Talk to the hand! 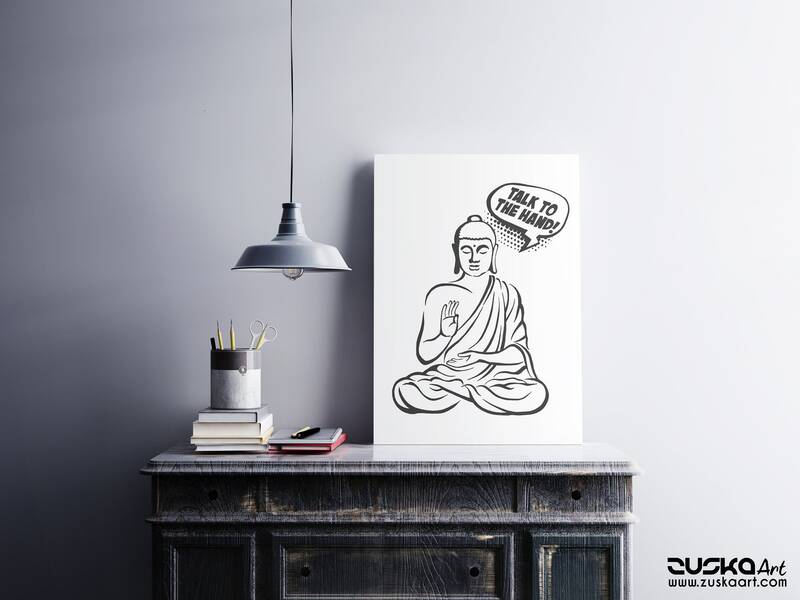 Funny Gautama Buddha Quote | Retro Comics. 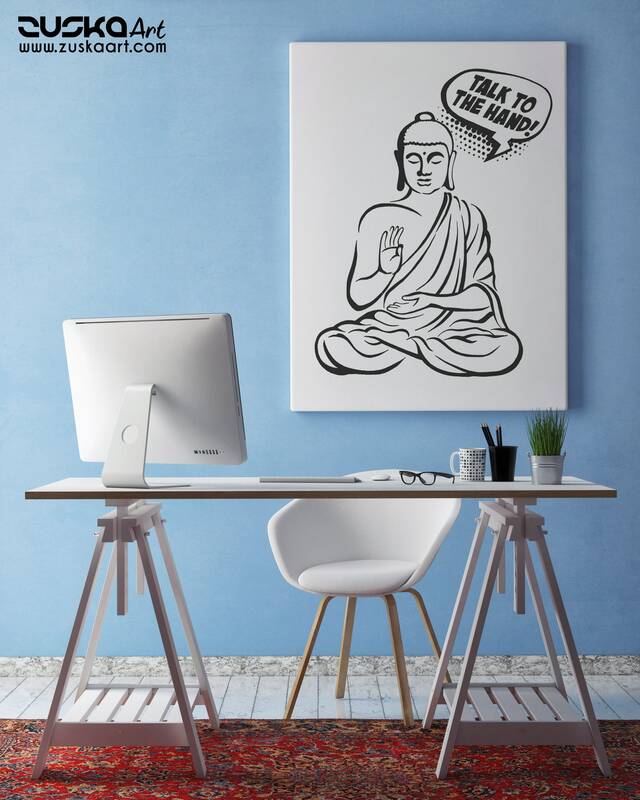 Cool Yoga and meditation graphic art. 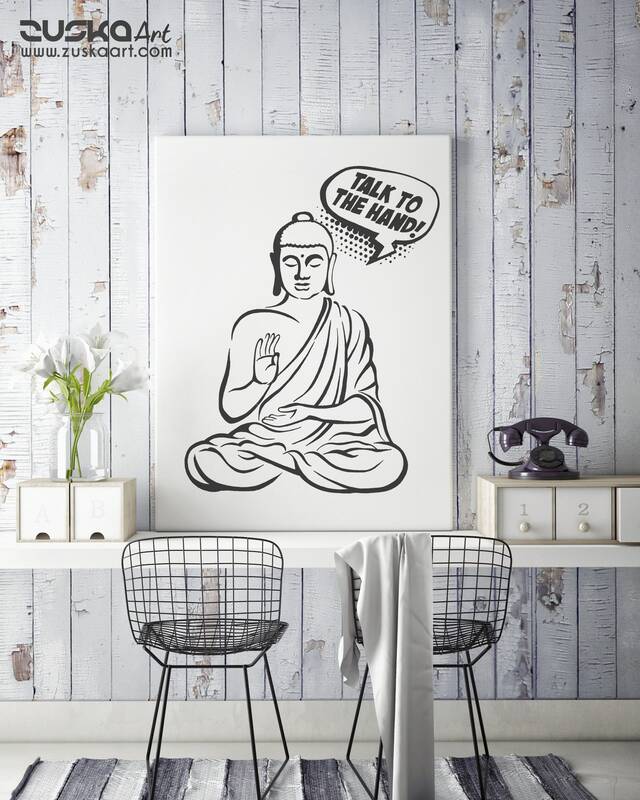 Great gift for buddhists, spiritual people, or deaf people who use ASL, or hand sign language. 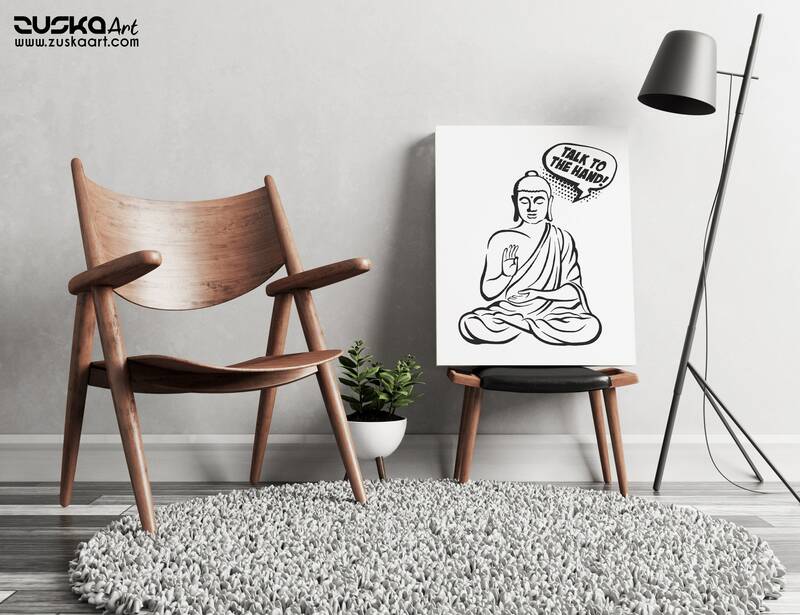 Cute illustration for meditating practice, people who love indian philosophy, dao, daoism, asian culture, buddhism and lotus flower position. Namaste! Talk to the hand! 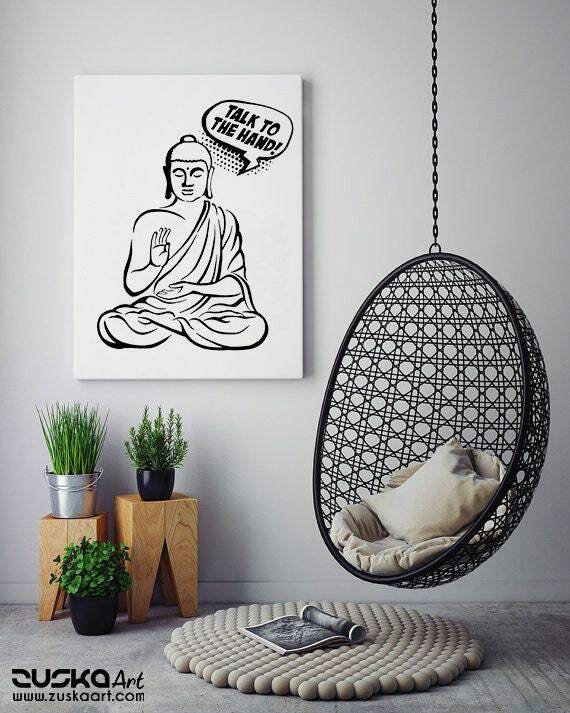 : Buddha comics hand drawn with ink. Scanned after my original ink painting at high resolution. A statement piece and artwork all in one. 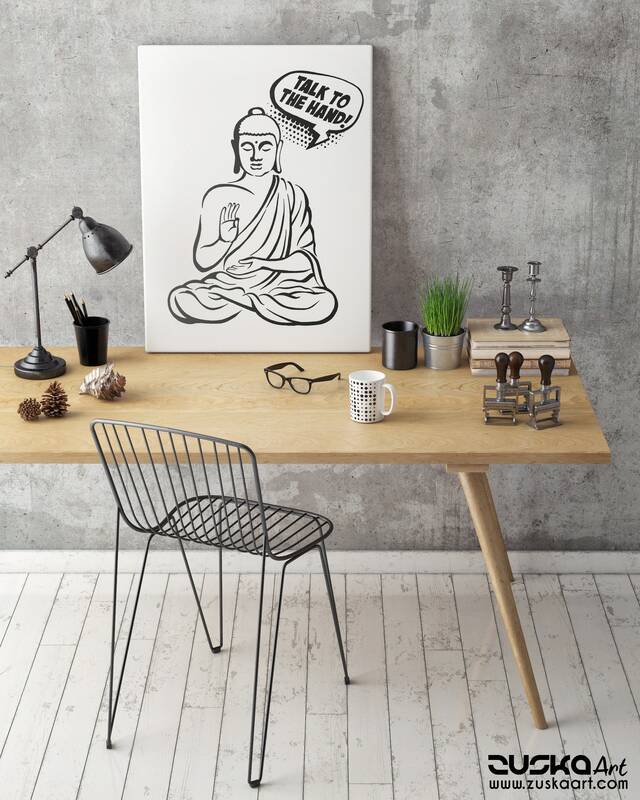 The depth of the canvas adds a dimension to a room.